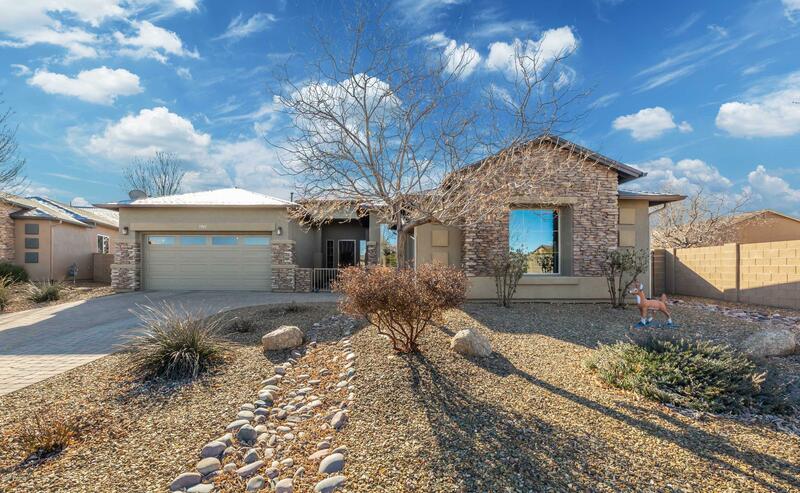 Like new home w/many upgrades from the inviting gated courtyard to the designer travertine flooring! Spacious 4BR split floor plan w/open great room. Gorgeous kitchen w/alder cabinetry, large island w/granite countertops, pantry, breakfast nook w/bay window plus formal dining room! Living area w/sliding door opens to a covered back patio & beautifully landscaped back yard w/pavillion! Owner's suite boasts a roomy bedroom/bathroom w/dual sinks, limestone vanity, separate tub/tiled shower & large walk-in closet. 3 add'l BR & full bath for guests or office. Ceiling fans throughout, low maintenance landscaping on drip system, exterior rock accents, back yard block wall fencing. 2CG opens into laundry room & separate 1CG opens into hallway. Quiet cul-de-sac location in a wonderful neighborhood!